Very few students are in a position to pay for college out of pocket. Even those students whose parents had the foresight to open a college savings account, and who have participated in a 529 savings plan, are still likely to need some degree of financial aid to totally cover the costs of tuition, books, lab fees and housing. College is a costly proposition, and many students look to scholarships to help fill any gaps in their education fund. But scholarships are as diverse as the students who need them, and it can sometimes be difficult to find the scholarship that is right for you. Like college students themselves, scholarships come in a variety of shapes and sizes. Undergraduate, graduate, and doctoral students each have specific financial needs. While there are some general scholarship programs that may be applicable to all students, the majority will be specific to student type and will only be available to students at a particular level of their college career. It is not uncommon for first time scholarship seekers to track down a promising program, only to find that they are ineligible because they are not at the specified degree level. In addition to degree level, many scholarships are designed to target students pursuing a specific major or course of study. These subject-specific awards make up a large part of the scholarship field, and students with definite career goals are likely to have better luck in their search for scholarship opportunities. Finding the right scholarship to suit your educational needs can sometimes seem daunting, but it really needn’t be. We’ve prepared the following general overview to help students become more familiar with the types of scholarship programs that are available. Hopefully, this information will help students at every degree level identify the types of scholarship programs that are best suited to their status and educational goals. College undergraduates make up the largest portion of the national student body, and as such are the largest group of students actively searching for scholarships. Most undergraduates have yet to declare a major, and are searching for general merit-based or need-based scholarships to help them pay for their college education. Even students who have a definite field of study in mind may choose to change majors during their first couple of years in college. This is not unusual, but it does make general scholarships the preferred option for students at the undergraduate level. Undergraduates with clear educational goals may want to look beyond the general purpose scholarship programs, and refine their search by concentrating on subject-specific awards, athletic scholarships, or scholarships for students planning to study abroad. Undergraduates who have already decided on a specific educational path may find that these highly targeted scholarships offer more opportunities than the more general programs. Women and ethnic minorities have a history of being under-represented in the United State’s university system. Many scholarship programs are designed to redress this imbalance, and to encourage more women and minorities to pursue a post-secondary education. 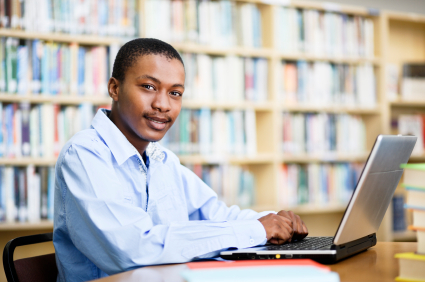 Scholarships for students pursuing degrees in the STEM fields (science, technology, engineering and mathematics) are particularly plentiful for minority students. In our section on subject-specific scholarships, students will find a comprehensive list of the most common college level fields of study. This list can be used to access detailed information on scholarship programs dedicated to that discipline. In many cases, that information will include details on sub-specialties, allowing graduate students to refine their scholarship search even further. For example, a graduate student might follow a link from the subject-specific scholarship list to the section on engineering scholarships, which will in turn provide links to more specific engineering fields such as aerospace engineering, environmental engineering, and computer sciences. Use this resource as a stepping stone to more specific information on graduate level scholarships for students in your field. Over the last few decades a concerted effort has been made to diversify the national student body, and to encourage women and minorities to pursue their college education at a higher level. A wide range of graduate level scholarships are available to women and minorities, particular in the critical need STEM fields of science, technology, engineering and mathematics. Minority students will also find a large number of graduate level scholarships dedicated to law, medicine, and nursing. Graduate level students typically have their career goals already mapped out, and are working towards a micro-specialized degree that will take them into the professional world. This micro-specialization can be used to fine tune a scholarship search in order to find specific programs that will help graduate students pursue their ultimate career goals. For example, a student looking for graduate level business scholarships is likely to have already chosen a specific sub-discipline such as forensic accounting, marketing or public relations. Graduate students should refine their search for scholarships by including any micro-specialization that further delineates their career goals within a field of study. Scholarships for Doctoral students generally take the form of university fellowships that cover all tuition costs, and that provide a yearly stipend to cover housing and essentials. Fellowship programs are designed to provide the financial support a student needs to complete their research and to prepare their dissertation. In exchange for this support, the student may be required to act as an adjunct instructor or research assistant. Fellowship programs do more than supply the much needed funds a student needs to complete their education. University fellowships give Doctoral students the opportunity to put their years of learning into practice, while engaging in the research necessary to complete a Doctoral degree. Post-Graduate students searching for a fellowship should begin with a subject-specific search, and then refine their search by sub-discipline. Fellowships for Doctoral students are highly competitive, but students will find that many universities and professional associations offer highly lucrative fellowship opportunities for Doctoral candidates. Here at College Scholarships.org we offer a spam-free scholarship search engine, powered by Google, to help students locate the best scholarship opportunities to suit their situation. Our search engine is designed to eliminate the spam, advertising, and dead links typically associated with a normal online scholarship search. Students can safely search the web for scholarships and fellowships, using degree type, major, student attributes, and any other specific criteria necessary to find the programs they need to realize their educational and career ambitions.